In most of my tea photos, I tend to use one cup and saucer set. I got it from my mom years ago and it’s my favorite. The inside is becoming stained and the glaze is starting to crackle, but it’s still my tea cup. 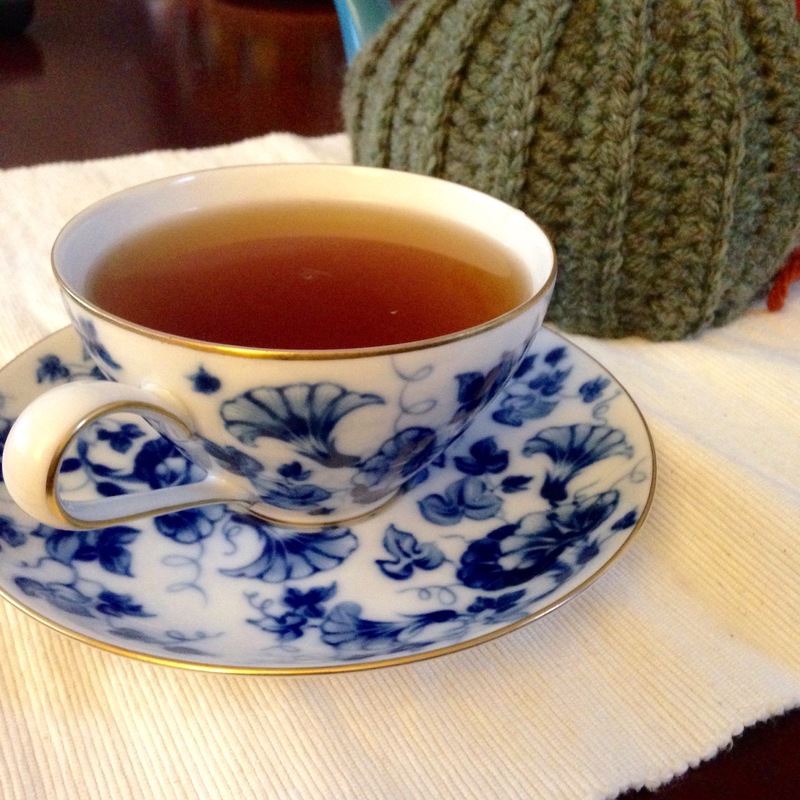 But I do have another tea cup, shown up there filled with my Gardener’s Herbal Tea Blend. It’s a blue flowered one with a little chip on the rim. I got it as the favor at a bridal shower a couple years ago. I like the feel of it. It’s a thinner china with a more delicate handle. It’s a little easier to spill. It also feels smoother, so I like to drink matcha out of it when I drink matcha because I feel like the sediment doesn’t stick to the inside so badly. It may seem silly to devote an entire (albeit short) blog post to a tea cup, but I actually don’t have many of them outside of my china set. It’s a holdover from my more minimalist days, when I first struck out on my own again after a divorce. I figured the fewer dishes I had, the fewer I had to pile up while living alone. But this act of restraint makes those dishes I do have so much more special and meaningful. Yes, I have service for eight if I want to have a tea party, but on a day-to-day basis, I have my tea cup that I wash in the evening and use fresh in the morning. Or I have this one. My other tea cup.